While framed by the teacher, it is child initiated, allowing for collaborations between children and teachers, and giving everyone a voice. It is responsive to the child, thereby allowing teachers to build on existing interests. In its practice, the teacher takes on the role of facilitator, taking what she sees and hears, and bringing to children the opportunity to discover more, dig deeper, and construct further knowledge. It is flexible in that curriculum planning, rather than being done well in advance, is constantly developing. Curriculum is dynamic, neither stagnant nor repetitive. It enables children’s learning and teachers’ thinking to be made visible through varied forms of documentation. It builds upon the theories of the recognized theorists in our field: the work of Dewey, Piaget, and Vygotsky supports the philosophy of emergent curriculum. 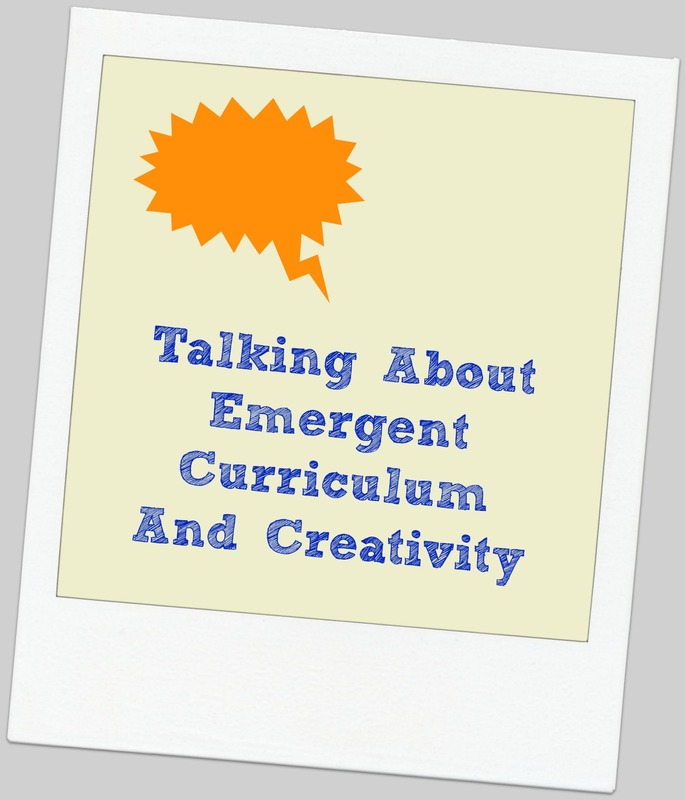 Practices embedded in emergent curriculum make visible the work of these theorists – no longer is it contained only in early childhood texts. Some of these points have been discussed before on this blog, but most have not. But the framework of assumptions gives a picture of a classroom that exhibits many of the qualities of creativity that have been discussed on this blog.